FRAMED: No, but painted edges and ready to hang! 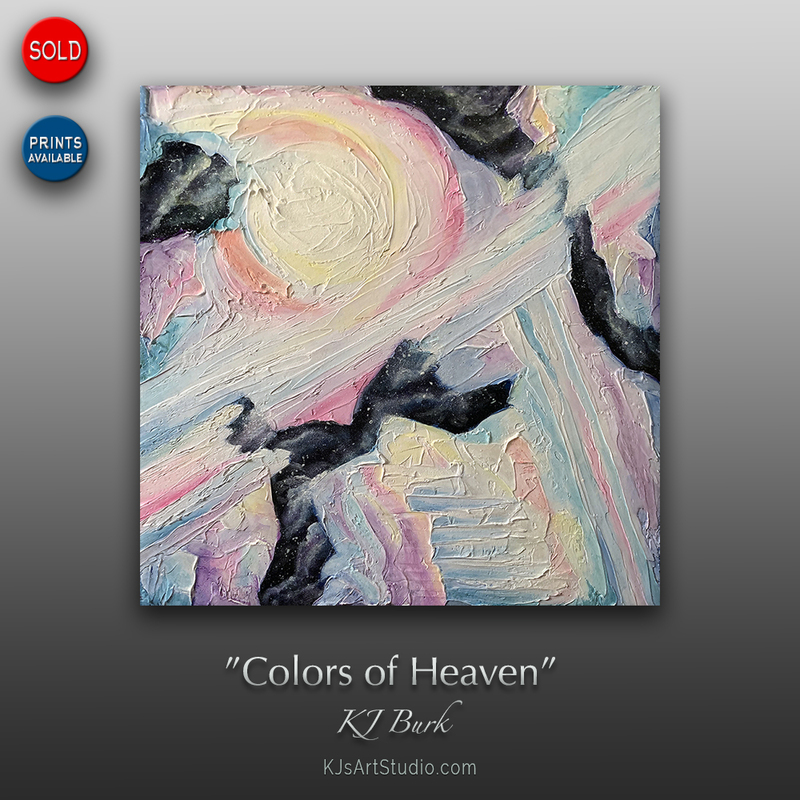 DESCRIPTION: “Colors of Heaven” is a heavily textured abstract painting signed and dated on the back by the artist. “Colors of Heaven” has been SOLD, but Prints and Gifts featuring this painting are available HERE!